After sending our girls to school in the morning, we still have got some time for breakfast before I clock in to the office. We have been regularly having our breakfast at Crystal's school canteen for the past 6 months and we got bored with the food there already. 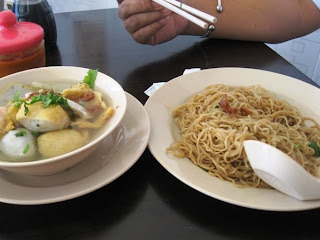 One fine morning last week, we went to the new Karamunsing Capital complex looking for breakfast, it was too early that all of the shops are still closed except one, and they are serving fish noodles, yup, noodles made from fish cake. It is not bad at all. 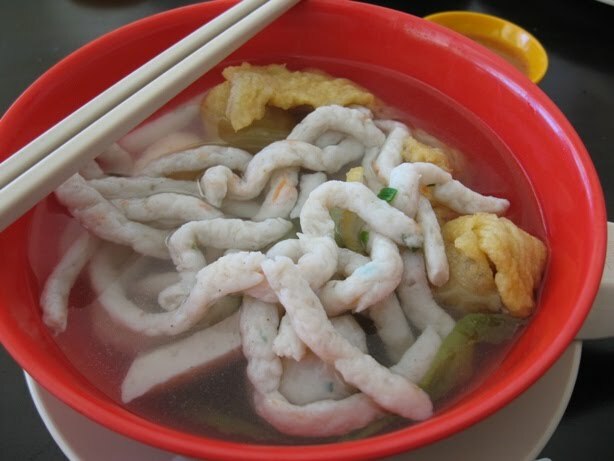 If you like having fish soup noodles, try this one out. 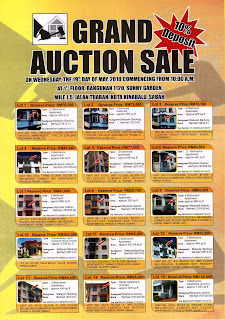 There will be 23 units of properties putting up for auction on 19th May, 2010 starting from 10.00am. 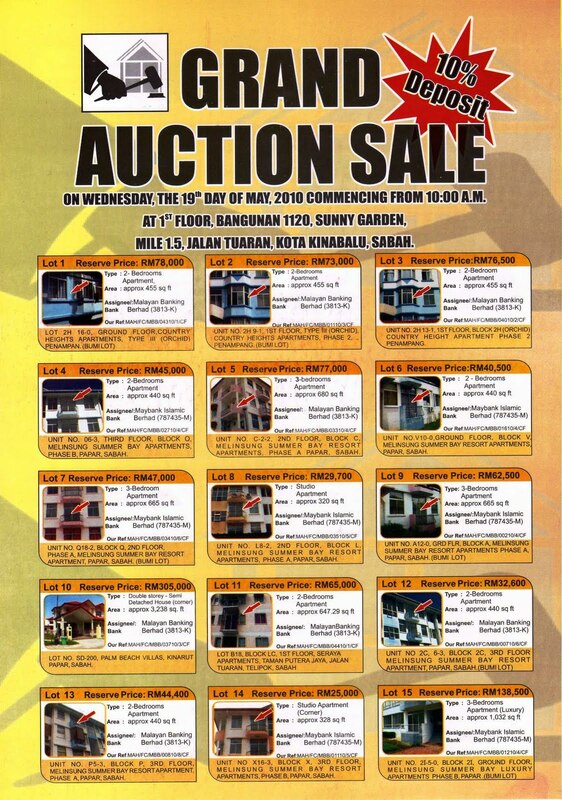 The reserve price is as low as RM19,200.00. 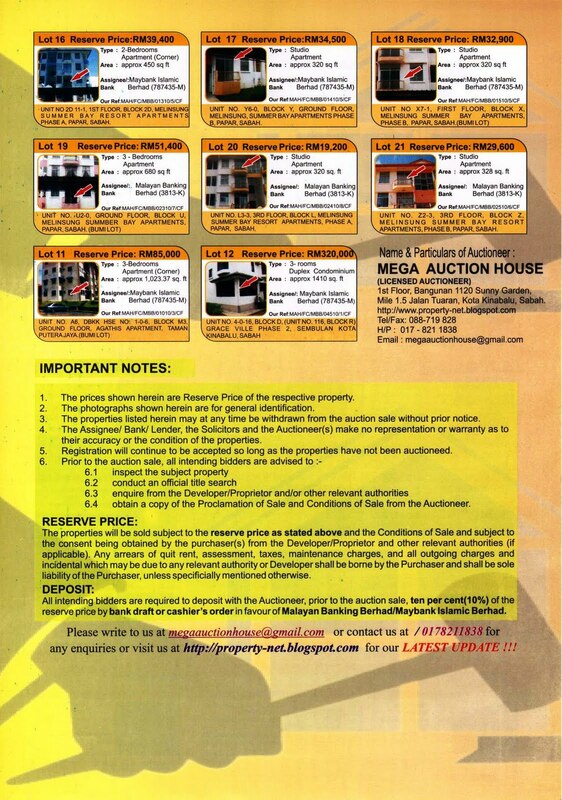 A great opportunity to own a property through auction. 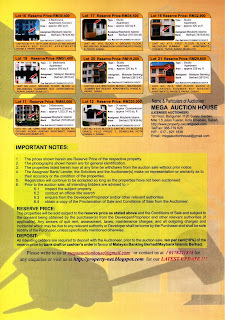 Visit HERE for more information. I am very hopeful that after this course I will be more well verse in monetizing my blogs and earn from blogging, very exciting, this is what I have been waiting for. Though I have been blogging for about 3 years now, I still find a lot to learn from blogging, especially on putting meta tags to my blog to drive more traffic, Search Engine Optimisation (SEO) and most importantly the methods on how to monetize my blogs. For these reasons, I have made a point to attend a course on Blogging Course for Absolute Beginners conducted by Gomes Promotion at Likas Square, Kota Kinabalu, Sabah. This course is conducted in two parts, Saturday evening and Sunday afternoon. 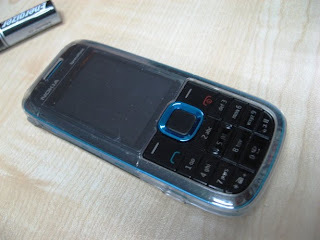 update : click here to my 2nd post. Me and my girls stayed home while Clet was away for golf sessions in Tawau last weekend. Besides busy with the house chaos, I took the opportunity to have a rest at home but the weather was so warm that it was hard to have a good and comfortable rest. Though it was warm like oven in the house, I proceed with my baking anyway. 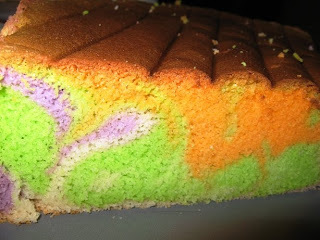 I tried my hands on another marble sponge cake on Saturday. This time I used 3 colours instead of 1. 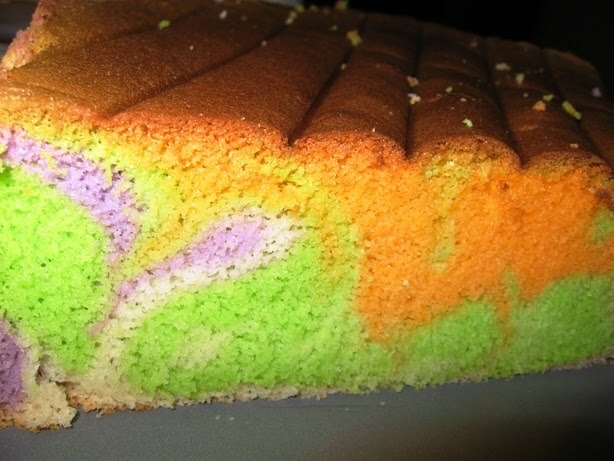 I let my girls help me out on mixing the food colours in the batter just to let them have some fun so that they would not shout boring at home for 2 days. The texture of this cake is soft and spongy but it is too sweet because I did not realise that the sponge mix is sugar added *_*. Clet got the chance to taste the cake when he was back on Monday. It was still moist and spongy on Tuesday, not bad!